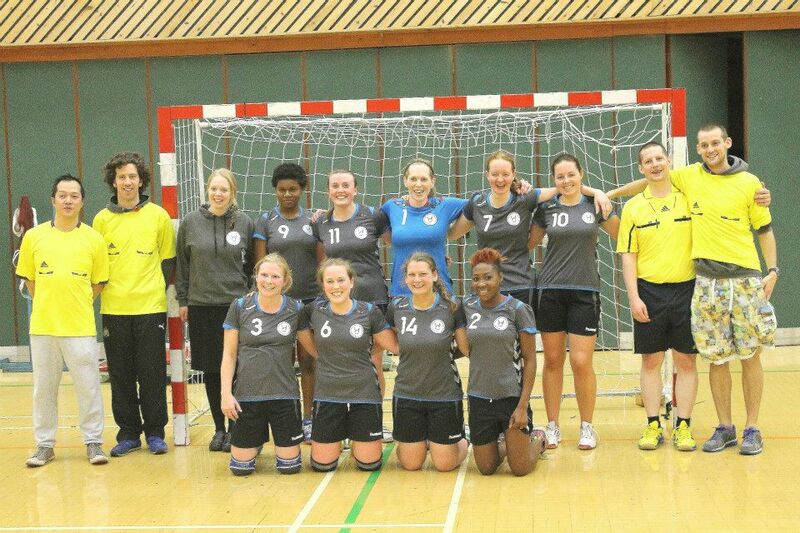 Newcastle Vikings Handball Club’s women’s team made the most of their first home league match at Temple Park Leisure Centre in South Shields on Saturday 8th November to get their season going with a big win over a young Peninsula team. The Merseyside club were first to get on the scoresheet, but the Vikings soon struck back through Marie Brevet before edging in front. A brace of goals each from Sandra Christke, Gesa Junge, Marlen Slinning and Sofie Vaula, backed up by typically tight Vikings defending and a penalty save by goalkeeper Andrea King, helped Newcastle build a strong 9-3 lead at half time. Again Peninsula came out slightly faster after the break, before captain Sandra Christke and head coach Marlen Slinning started to dominate the goalscoring proceedings as Newcastle regained control of the game. Six second-half goals from Christke together with a further five from Slinning fired the Vikings into an unassailable lead as the Vikings broke the 20 goals barrier. A late strike from Judyta Turulska rounded the game off as Newcastle Vikings claimed a 21-9 victory to jump up to third in the England North Regional Development League table. Previous Post:So Near Yet So Far for the Vikings!